Why disable WiFi Internet? WiFi produces the single most highest levels of EMF exposure not just at your computer, but everywhere there is a WiFi Hotspot. 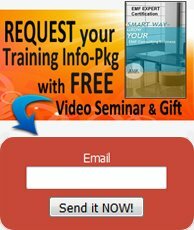 There are many ways you can reduce the EMF exposure that you receive from your computer, and disabling the WiFi default in your computer and returning to wired internet is the very best place to begin. With pressure from new technologies forcing wireless on us for their own ulterior motives (higher performance and greater consumer satisfaction are not motives), it is getting trickier to find the default settings deeply buried in our computers, laptops, and other devices like Xbox settings, to disable WiFi Internet but disabling at the source is one of the best defenses for protecting ourselves from electrosmog we ourselves are generating in our own environment. HOW TO REDUCE WIRELESS POLLUTION FROM YOUR COMPUTERNOTE: (Please consider this as a guideline only, since technology changes constantly. A search on "instructions for disabling wireless" on your computer (model), and its operating system, will provide the most up to date help. Alternatively, a quick home visit by the Geek Squad (or any in-home computer service) is also a good option. Internet service providers, such as Comcast, and others, are not forthcoming in letting us know that the option of a wired internet modem (or hub or router) is in fact available to us if we simply request it. Internet providers are instead zealous to push consumers towards wireless internet service, in hopes of using their wireless modems to gain access (or control?) of our "smart homes". They are downplaying the poorer performance of wireless connectivity compared to wired, as well as the increased privacy and security risks. When it comes the health risks from the growing levels of wireless smog in our homes, and the growing electrosensitivity of consumers, they completely disregard the issues entirely. 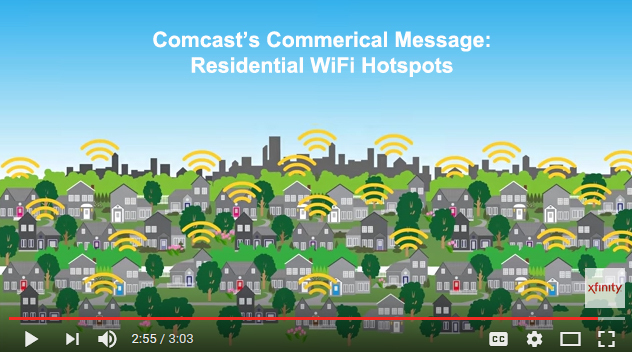 This commercial message video (3 min) extols the benefits of residential Wifi Hotspots and (among other glowing statements), how more connectivity will improve the neighborhood the way flowers and trees do. (Update: Comcast no longer makes this video available) There are several issues that Comcast is currently being sued for in regards to its new Xfinity rollout, however issues such health effects are not among them, despite the fact that Xfinity is clearly aggravating electrosensitiy in a rapidly rising percentage of people. Here is CBS newscast outlining the legal and privacy issues (in 2015), and although it is clear that Comcast's purpose is to spread their WiFi services as quickly as possible, no mention of the risks of increasing WiFi exposure are stated. Issues that are part of the lawsuit are such things as "quietly making our homes part of the internet sharing economy" without getting express written consent or fully disclosing that fact. 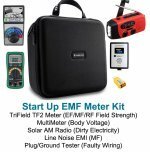 However, because of the way the antiquated EMF safety standards are written the main issue the lawsuit must legally focus on is that the new high powered Xfinity is interfering, not with people's health, but with other devices. Unlike previous generations of WiFi routers, there are now at least two (possibly four) antennas within the new Xfinity routers. One antenna is at the typical WiFi frequency of 2.4 GHz and now a second antenna emits microwave radiation at 5.0 GHz. There are also two channels within in each antenna – a private channel for your home and a public channel for any Comcast customer who is visiting or walking by. Simply put: more antennas and channels mean more microwave radiation exposure for people in the vicinity of the router. It is also possible that they have increased the power to the 5.0 GHz antenna because this frequency is more easily blocked by walls (and absorbed by humans). Perhaps Comcast thinks they can fix the range issue simply by beefing up the power of this second antenna. The router will then only recognize a hardwired LAN. 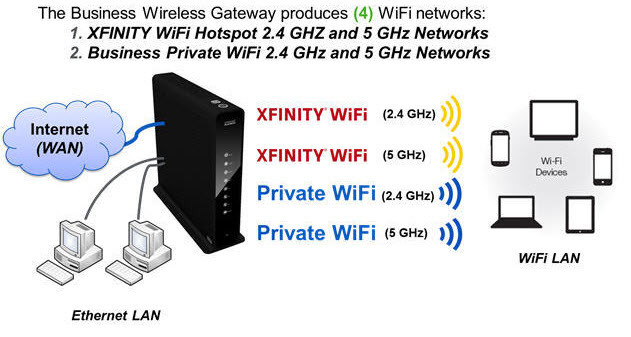 However, please remember when Comcast does a system wide reset (approximately once per month), the WiFi component can be turned back on for all Xfinity routers. It would be smart to own a basic RF meter in self defense, in order to check this yourself every month or so. Yes, you will have to go through this process each time, so we have made a step by step guide to include all the ways you may have to disable WiFi Internet.